UNITED NATIONS (AP) — North Korean leader Kim Jong Un’s summits with the presidents of South Korea and the United States have not changed his country’s abysmal human rights record, the U.N. independent investigator on human rights in the isolated Asian nation said Tuesday. Speaking at a news conference, Tomas Ojea Quintana said he is “very concerned” that statements following Kim’s meetings with South Korean President Moon Jae-in and U.S. President Donald Trump made no mention of human rights in North Korea. He pointed to reports of “systematic, widespread abuses” of human rights and a U.N. commission of inquiry’s findings in 2014 that possible crimes against humanity have been committed in North Korea. “The human rights situation at the moment, at the moment, has not changed,” Quintana said. Quintana said dealing with North Korea’s nuclear arsenal is extremely important for humanity, and he strongly supported rapprochement between the two Koreas and talks with the U.S. that have decreased tensions and improved prospects for peace. But he stressed that North Korea’s human rights record must not be ignored. Quintana recalled that in his previous job as U.N. investigator in Myanmar, he raised alarm about “crimes against humanity” being committed by the military during that country’s political transition in 2012 but his concerns were put aside. “And now we see the consequences,” he said, alluding to findings of military abuses against Myanmar’s Rohingya Muslim minority. “As the process of rapprochement and talks are moving so fast, we the human rights people — we also need to move fast and bring proposals, different proposals,” Quintana said. He said one of his proposals is to ask the new U.N. human rights chief, Michelle Bachelet, to initiate “a process of engagement” with North Korea. He also urged North Korea “to show commitment to the human rights agenda” and allow him to visit the country and talks to its leaders. 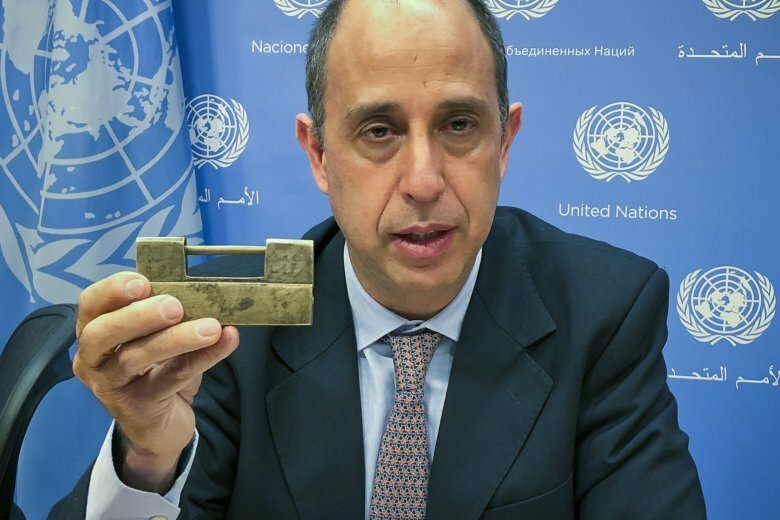 Quintana, a human rights lawyer from Argentina appointed by the Geneva-based Human Rights Council, was in New York to present his latest findings to the U.N. General Assembly’s human rights committee. He said in response to a question that the Trump administration has told him it supports his work and backs a General Assembly resolution condemning North Korea’s human rights situation. On Monday, North Korea’s official KCNA news agency accused “some dishonest forces including Japan” of “working hard to cook up” a politicized resolution on human rights. It called the annual resolution the result of a “conspiratorial and criminal scenario of the hostile forces to defame” North Korea. KCNA said Western countries should not be held up as “the human rights standard of the world,” saying that “misanthropy and abnormal way of life are rampant” in the West.